At Kumaon Exports Pvt. Ltd. quality is an ongoing process. Our team of highly qualified and experienced scientists and managers keep vigil and check each and every step which may affect the quality. We have very rigid in-house specification for all the inputs (particularly herbs) because we firmly believe that until unless the quality and identity of inputs are not as per the standard norms, till then the quality and consistency of end product cannot achieved. Our quality control/assurance department is equipped with sophisticated instruments like HPLC (High Performance Liquid Chromatography) Spectrophotometer, GC (Gas Chromatography) and TLC facilities which helps in identification, quantification and to monitor the consistency of the products. All the shipments accompanies certificate of analysis that meets or exceeds our stringent specifications. 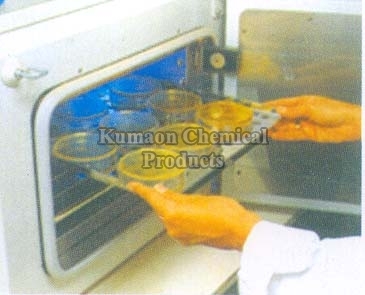 Keeping in view the concern of customers for microbial load of the products, company is having a separate self-contained microbiological lab, where each and every product and process samples are tested for standard parameters till utmost satisfaction.